View all 14 tickets on Trac. CMB2 is a metabox, custom fields, and forms library for WordPress that will blow your mind. story|ftw is a full screen, mobile first storytelling plugin. It can do text, images, gifs, video backgrounds plus a whole lot more. Backup your instagram photos & display your instagram archive. Supports importing to custom post-types & adding custom taxonomies. Last Friday I had the privilege to present on CMB2 for WPSessions. If you use CMB2 at all or are interested in getting started, I HIGHLY recommend you purchase that session. Please support WPSessions and CMB2 by purchasing the session here. My presentation/notes for that session can be found here. On the WebDevStudios blog, I wrote a tutorial which provides a pretty in-depth walk-through to demonstrate using CMB2 to create a new post submission form. While the specific implementation is for new posts, the principles in the post can be applied to just about any kind of content in WordPress. Handy function that calculates your function/method execution time so you can optimize your code’s performance. Giuseppe Mazzapica wrote a very thought-provoking and insightful response to the question “What is the best way to initiate a class in a WP plugin?” on wordpress.stackexchange.com. I definitely recommend a read. It will probably make you smarter. CMB2 WordPress Plugin: What is it good for? Absolutely everything! From the WebDevStudios blog, a general overview of CMB2 and how it compares to the original library, Custom Metaboxes and Fields for WordPress. The one thing that people love about WordPress and the WordPress.org plugins is that they are free. Sure, they don’t cost any money. But they’re not truly free. You can ask on the WordPress support forums for some help. Or you could email the developer for some help. You might get some help. But what if you don’t get any help? You’ll probably need to pay for some help from a techie or a developer. Paul Kander on What is the future of CMB2? 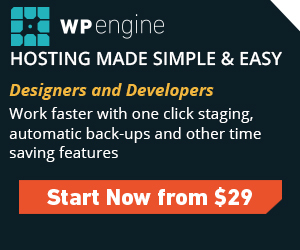 Fast, secure WordPress hosting is provided by WP Engine.